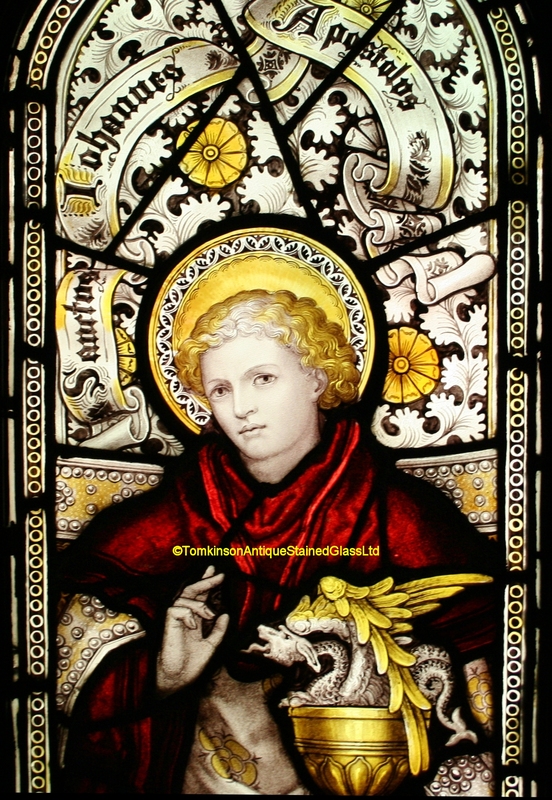 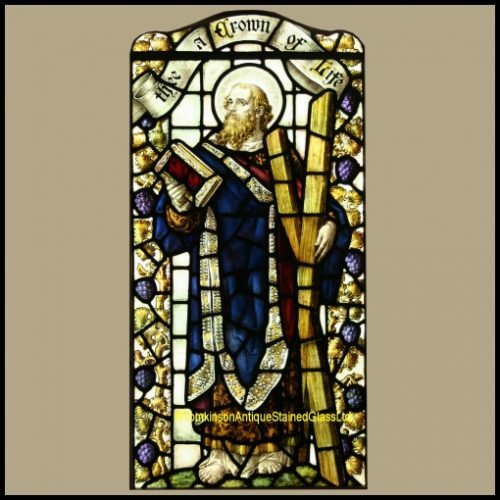 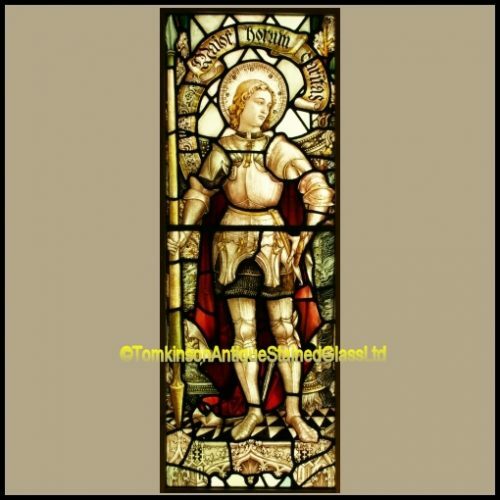 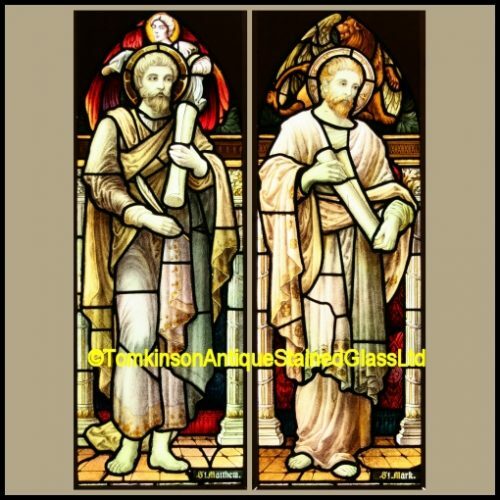 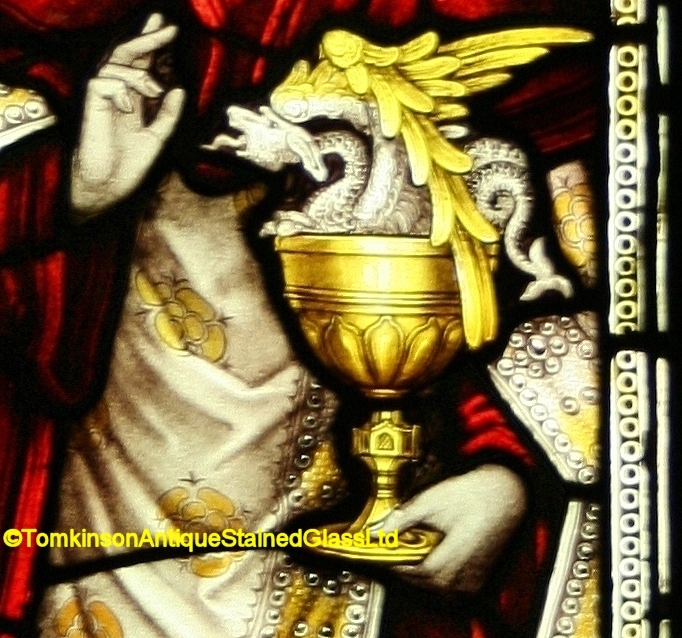 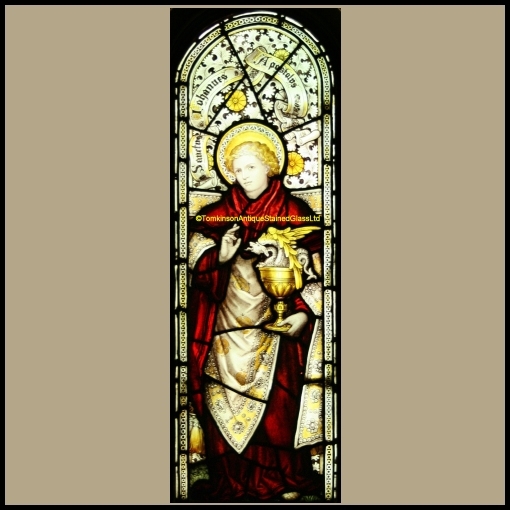 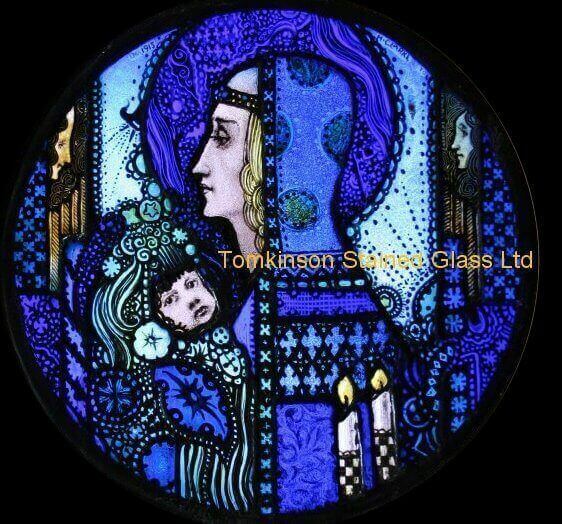 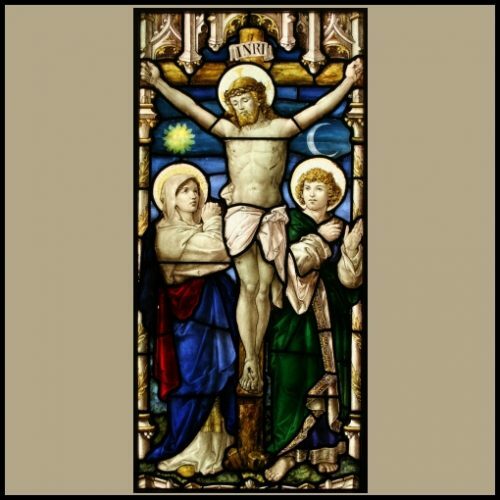 Antique Victorian church stained glass window by Kempe, c1890, leaded and hand painted depicting St John the Apostle holding a chalice from which a dragon is emerging. 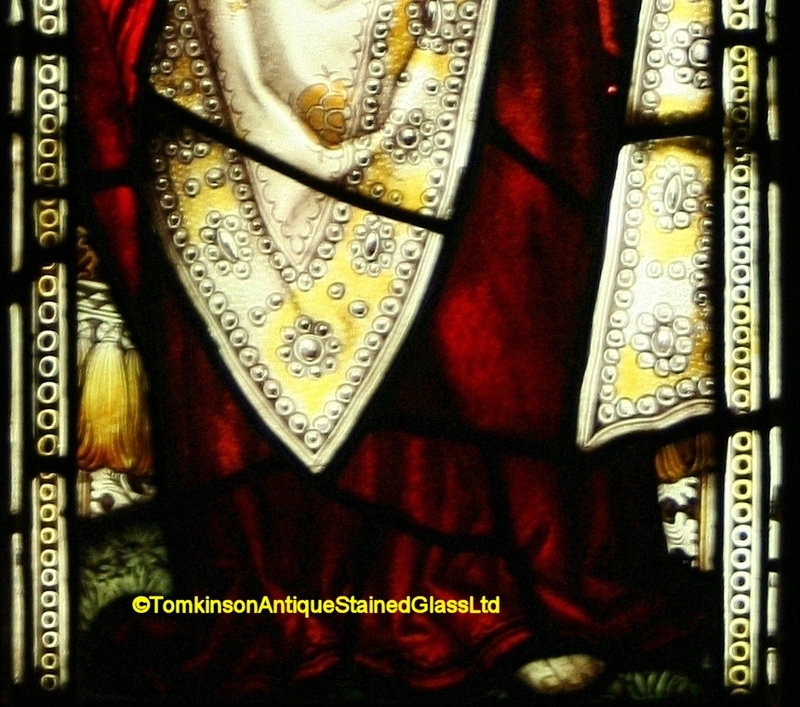 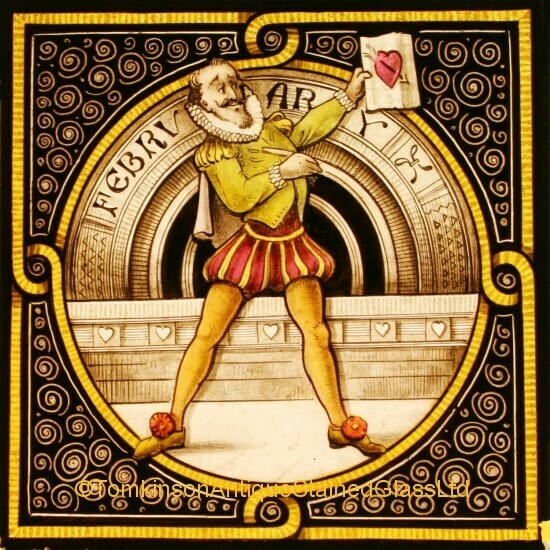 Super quality, no fading to hand painting and with lead and glass in original condition and set within a decorative wooden frame of a later date. 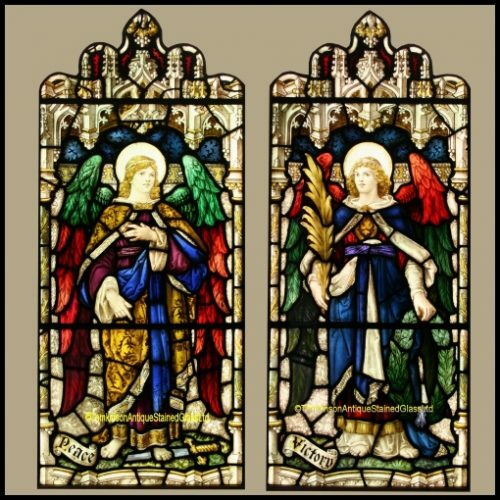 Could easily be made into a light-box.